​​Learn about the physical symptoms of stress and how your emotional trauma makes you sick. Find out why stress causes pain in your back, knee, or shoulders. And discover how you can release your negative energy for good. Where Do Our Emotions Come From? ​Energy healing is one of the oldest practices known in the world today. Since 4000 B.C., healers have understood that our health depends on the quality of energy in the body. In Chinese medicine, they call this energy Qi or Chi. And in Ancient Indian or Ayurvedic medicine, they name it Prana. The most ancient idea in the art of healing is that diseases are imbalances in the body. We live in a ​stressful world. All the responsibilities that we experience can take a toll on our body. Stress is one of the leading causes of all our illnesses. When you're under constant stress, your body goes into fight and flight mode. Your heart pumps blood faster, and the body releases stress hormones. But these hormones, adrenaline, and cortisol, are damaging to the body. They elevate the blood fat and the blood sugar levels and stay in your tissues for up to 48 hours.The problem is that the body can’t see the difference between a real situation or an imagined one. So whether you get chased by a bear or thinking about it, it will still cause the same reactions in your body. What exactly is a stressful event? A stressful incident could be something simple as watching a scary movie. Or getting stuck in traffic. It doesn’t have to involve a bear or anything like it. 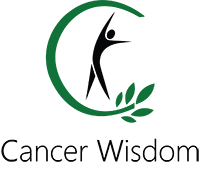 Learn ​how stress causes cancer. Click here to read more. You know that the scary movie you’re watching isn’t real. But the experience will still activate the fight or flight response. And the body will release stress hormones that are damaging to your body. The problem is that most of us go from one stressful event to another. In this stressful state, the body becomes vulnerable to diseases. Energy loss and chronic pain are often the first signs that a person is getting sick. When we distort the energy in our body, we become sick. So what is energy anyway and why does it matter in healing our bodies? Take a look at your hand. Your eyes see the surface of your skin with its wrinkles, fingernails and blood vessels. It might seem solid. But if you magnify your hand under a microscope, you won’t see the same skin and creases anymore. If you zoom in close enough, you're starting to see molecules. Magnify even more, and you can observe the atoms that make up those molecules. And if you look even closer, you’ll see electrons, protons, and neutrons. At the subatomic level, there are vast distances between each spinning particle. Atoms are 99.99999999% space. Your hand seems dense, but it consists of dynamic energy, in constant vibration. We can compare this energy to electricity. You can’t see it, but you can feel it. If you put a finger in a light socket, you can sense this energy. You may not be able to see it, but it’s there. Our thoughts and emotions are energy vibrating at different frequencies. For your body to be healthy, you need this energy to flow freely. Negative thoughts or feelings alter the body's energy field. If you're in a constant negative state, then these negative energies can get trapped in your body. So what are trapped emotions and how do they affect your health? Every emotion in the body has a specific frequency. The lowest vibration in the body is shame, followed by guilt and apathy. When you're depressed your energy level is low, and you feel tired and bored. Life has no meaning. As you climb the range of emotions, you’ll get more energized. Negative emotions have a lower frequency than positive emotions. If you feel negative emotions on a regular basis, you’re more prone to getting diseases. Too much negativity will distort the energy field and create trapped emotions. Trapped emotions are negative energy that gets trapped in the body. They thwart the energy field where they reside. You can think of a trapped emotion as being like a ball of energy. They have a size and a shape that vary in size from that of an orange to that of a melon. ​Are you feeling tired all the time? Click here​ to learn how to boost your energy now. Trapped emotions lower immune function and make the body more vulnerable to diseases. They distort body tissues and block the flow of energy. And they prevent normal function of organs and glands. Trapped emotions can cause you to overreact and cause problems to your relationships. Even worse, trapped emotions can create depression, anxiety, and other unwanted feelings. They can interrupt your body’s organs and tissues. As a result, they can cause pain, fatigue, and illnesses. These trapped emotions remain undiagnosed by conventional medicine. Instead, they suppress these symptoms with drugs. But when the drug wears off, the symptoms often return. It is because they haven't addressed the underlying cause of this pain. Trapped emotions cause a wide variety of physical problems. They are epidemic, and a cause of much of the suffering and illness, both physical and emotional. ​​Each trapped emotion resides in a specific location in the body. They all vibrate at their own particular frequency. That vibration then causes the surrounding tissues to resonate at that same frequency. If you have a trapped emotion, you will attract more of that emotion into your life. You will also tend to feel that emotion stronger and more often than you otherwise would. If the feeling is fear, for instance, you will get afraid much easier. The longer that energy resides inside your body, the more you’ll get used to feeling it. When you have negative thoughts or emotions, your organs and glands start to malfunction. So where do these trapped emotions come from? Thousands of years ago, ancient physicians found that people who experienced physical ailments had certain organ imbalances. For example, people who felt anger suffered from liver and gallbladder problems. And grief caused lung or colon problems. Fearful people seemed to have kidney and bladder problems and so forth. They then made the correlation between the emotion and the corresponding organ in the body. The organs themselves produced the emotions that people felt. In other words, if you are fearful, your kidneys or bladder are creating those emotions. If you are grieving, your lungs or your colon produce that energy. Specific areas of the brain activate when we feel particular sensations. Many believe that our brain generates all our emotions, but that is not true. It is our glands and organs that create our feelings. Organs and glands are frequency generators. So when you feel a specific negative emotion, it is a gland or organ that generates that emotion. ​​Do you worry about your cancer a lot? Click ​here to learn how to stop this fear now! For example, if you feel anxious, it is either your spleen or stomach that emanate those emotions. Have you noticed that every time you're nervous you feel a knot in your stomach? You may lose your appetite or get diarrhea every time you worry a lot. Your stomach generates those emotions to tell you that you're in real danger. But it doesn’t know if the threat is real or imaginary. Your entire body is intelligent, not just your brain. All organs have a separate intelligence which performs specific functions. And they also produce distinct emotions or feelings. When you overload an organ, it will produce more of the same emotion. If you have an organ that is sick, you will feel the emotions related to that organ even stronger. Trapped emotions emanate from a particular organ, whether it lodges in the body. For example, a trapped emotion of anger may originate from your liver. But it may become lodged anywhere in your body. You can also inherit your emotions from your parents. In the same way that you can inherit your parents' looks you can also receive their trapped emotions. You get the emotional energy from your parents at the moment of conception. When the sperm and egg unite, one of them is already carrying some extra emotional energy. Your mother's fertilized egg divides and this excess emotional energy duplicates as well. The mother’s emotions, such as fear, or anger can biochemically alter the offspring. For example, your grandmother had a loveless marriage where her husband left her. If you inherit these emotions, you might either repeat her experience. Or you'll resist getting married because of a fear of getting left behind. Your parent might have died when you were a child. Therefore you might distance yourself from your partner when you reach the same age as the parent. If a father mistreats his wife, the son, might mistreat his partner as well. And if your parent abandoned you at birth, you might repeat the same behavior. Steve Jobs was the founder of Apple. His parents were 23 when he was born. His biological parents were Abdulfattah Jandal and Joanne Schieble Simpson. Due to the stigma surrounding single motherhood at the time, the two decided to put Steve up for adoption. And the fascinating part was that Steve was 23 when he got his first daughter Lisa. But he didn’t feel ready to be a father, so he left her. In one experiment researchers made mice afraid of a fruity odor, called acetophenone. Every time they felt this smell they got a mild electric shock to the foot. ​Discover what causes your fear of death in this blog post. Click here to ​learn more. The mice that learned to fear this odor showed an increased reaction to that odor but not others. This fear changed the neurons in the animal’s nose. Ten days after this fear training, the researcher allowed the animals to mate. Their offspring also showed an increased fear of this fruity smell. And their reaction was specific to that smell and not others. And even the rats' grandchildren had an increased sensitivity to that same smell. ​To be healthy we need to energy flow through our meridians. Your body is like a computer. The computer has different parts with specific functions. For example, the sound card creates sound, and the graphics card generates a picture on the screen. Every computer has a motherboard. The motherboard is a big circuit board where you can connect every piece of the machine. In this way, all the components in the computer can communicate with each other. When you switch on your computer, the electricity flows in each part of the workstation. Your body works the same way. In this case, the different components are glands and organs. The body's energy circulates through channels, called meridians. They function as a network, much like a highway system. Meridians exist throughout the body. Energy and blood flow through the meridians. Meridians also send information to and among your organs. These energy pathways help the body to regulate its functions.Your body remains healthy when Qi flows with ease through your meridians. Due to excess stress or other reasons, your body’s meridians can become clogged or even blocked. Most organs and glands are part of a particular circuit. Learn about ​the physical symptoms of stress on our organs and glands in the next section. ​Discover ​why an organ or gland imbalance can manifest muscles problems. Your body has circuits just like a computer. A simple example of a circuit is a battery connected to a light bulb. So long as the circuit is complete, the light bulb glows. But if you break the connection, it stops working. This means that there is no electrical power anymore. Most of us have a circuit breaker in our home. It has different circuits that together make up the electrical supply of a building. If you plug in and run too many machines from an electrical outlet, you will draw too much power. The circuit breaker then blows a fuse to protect the house from any harm. Suddenly the lights and all the electrical items in one room or section of the house don't work. Even if nothing works in one place, your stereo might be playing in the next room. This is because it is not part of the same circuit. But if you connect it to the electrical outlet ​that overloaded, it will not work. Every organ and gland has an electrical circuit. If you overload any organ or gland, you can blow its energetic or electrical circuit. Here’s how this can happen in our bodies. Let’s use the liver for this example. The liver’s job is to detoxify the body. If you drink too much alcohol or eat meat, your liver can have a hard time detoxifying. Or if you have anger problems, you can also overload it. The liver won’t be able to function at its full capability. Now the muscles on the same circuit won't work at 100%. Every organ and most of the glands have some muscle connections. A liver imbalance can cause pain in the chest area, between the shoulder blades or right shoulder. ​This is because these muscles are on the same circuit as the liver. Some organs or glands also work in pairs. Learn why you get pain in one part of the body and not the other one. The paired organs and glands in the body are the kidneys, lungs, adrenals, ovaries, and testicles. In dual organs or glands, the left one is always the main. And the right side organ or gland is the backup or the reserve. As a result, the left side organ or gland will often become imbalanced first. The reason for this is because it's carrying a heavier load than its right-sided counterpart. The paired organs and glands all have connections with muscles located on both sides of the body. The left side organ or gland connects with the associated muscle on the left side. So when the left organ goes ​the left muscle on that same circuit will become imbalanced. And the organs or glands on the right side affect the muscles on the right side. For example, let’s take a look at the adrenal glands. When a person is under too much stress for too long, it will take a toll on the adrenals. Adrenals are ​your body's stress glands. The left adrenal gland ​tends to become imbalanced first. This is because the left-side is the main. As a result, the muscles across the left knee joint start to malfunction. If the stress continues, the right adrenal gland may blow its fuse and cause right knee pain as well. When our circuits in the body don't work, then that can lead to injuries. Learn ​why you can manifest pain in the knee, back or shoulder ​in the next section. Emotions often become trapped in an area that is weak or vulnerable for some reason. There can be some infection, injury or nutritional deficiency in that area. So when a strong emotion occurs, it may end up in that section. Or they may lodge in an area that has a metaphysical significance. For example, you may feel like you’re carrying the weight of the world on your shoulders. Therefore any trapped emotion may lodge in one of the shoulders, or your neck. Most sports injuries happen when the muscles are not working as they should. So when the athlete makes a sharp turn or movement, the muscles can't handle the force. For example, right knee injuries are common in people who have imbalanced gallbladders. This pain occurs because the gallbladder is on the same circuit as the muscle of the right knee. Back pain is a huge epidemic in our society and is one of the leading causes of work absence. Several muscles in the back can get imbalanced. All these muscles have energetic connections to various organs or glands. In the table below you can see what organ or gland affect what region in the back, shoulder or knee. ​If you don't balance your organs or glands, then your problems will persist. Most long-term imbalances can lead to breakdown or disease of the organ. Our medical system doesn't look at the connections associated with knee pain or other problems. They only treat symptoms with drugs. Or they remove the organs or replace them. Many people try to fix their pain by going to the gym and strengthening the muscles. But they can't heal the injury as long as they don't balance their organs and glands. When you reset the fuse how long does it take to make everything work again? An instant. The same happens when you finally fix the organ imbalance. Your life-long knee injury disappears the second you fix you gallbladder imbalance. I hope this blog post enlightened you and taught why you get sick or have pain. Learn how to fix these imbalances by reading the sections below. ​Stress is one of the leading causes of all our illnesses. Our thoughts and emotions are energy vibrating at different frequencies. For your body to be healthy, you need this energy to flow freely. Negative thoughts or feelings alter the body's energy field. Every emotion in the body has a specific frequency. Too much negativity will distort the body's energy field and creates trapped emotions. Trapped emotions are negative energy that gets trapped in the body. ​They lower the immune function and make the body more vulnerable to diseases. It is our glands and organs that create our feelings. ​We can inherit ​our parents' emotional baggage. The body's energy circulates through channels, called meridians. Every organ and gland has an electrical circuit. If you overload any organ or gland, you can blow its energetic or electrical circuit.​ Every organ and most of the glands have some muscle connections. In dual organs or glands, the left one is always the main. And the right side organ or gland is the backup or the reserve. ​The paired organs and glands have muscle connections on both sides of the body. Left organs and glands affect the muscles on the left side and vice versa. Most ​injuries happen when the muscles are not working as they should. Physical symptoms of stress include muscle pain, digestive problems, and injuries. ​​If you want to fix your diseases or pain, then you need to balance your organs and glands first. ​Talk to a ​kinesiologist ​to find out what part of the body that doesn't work. A kinesiologist uses muscle testing to find out what's wrong with you. Another way to find ​out the state of your body is to find an Es-Teck practitioner. ​Es-Teck is an accurate way to scan your whole body within minutes. The machine measures the state of your organs, nutrients, pH-level and much more. ​It is FDA-approved and non-intrusive. A third way to learn about your current condition is to talk to an acupuncturist. Next, try to fix the underlying cause of the organ or gland imbalance. One way you can do this is to download The Organ And Gland ​Disease Chart. In this document, you will learn ​what emotions affect your organs or glands. ​​​You will also find out the muscle connections to every organ and gland. And you'll get tips on how to release the emotional energy that causes the imbalance. ​​Click here to download The Organ And Gland ​Disease Chart!